This Free Standing Sign Is Double-Sided! 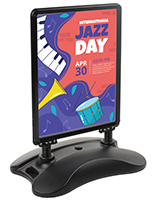 Use This Poster Holder To Display Signage Outdoors! Purchase This Free Standing Sign For An Affordable Price Today! Water base keeps sign stabilized during outdoor use. Finished black aluminum snap frames make signage updates quick & simple. 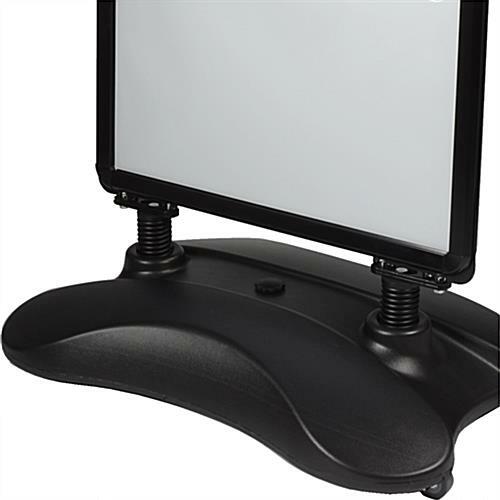 Double-sided holder can display multiple promotions at once. (2) Wheels allow for easy transportation. Clear non-glare lens protects poster from damage. This free standing sign, also known as a poster holder, looks great outside of restaurants and retail stores. 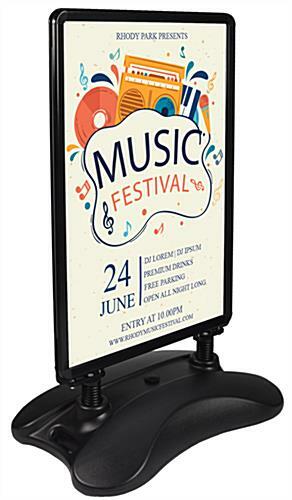 Use this poster frame to display signage outdoors. This black free standing sign is an ideal way to showcase daily specials, grand openings, and sales. Photos and posters also look great in this display stand. This free standing sign that is double-sided allows advertisements to be visible to passerby approaching from multiple directions. 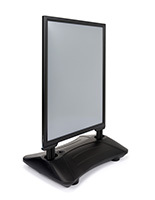 Display multiple promotions at once with this standup holder. 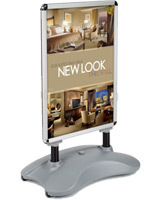 This free standing sign that has a clear non-glare lens protects posters from damage, including rain and dust. This wind-resistant poster holder fares better in strong winds than folding a-frame poster holders. This large free standing sign features a fillable water base. 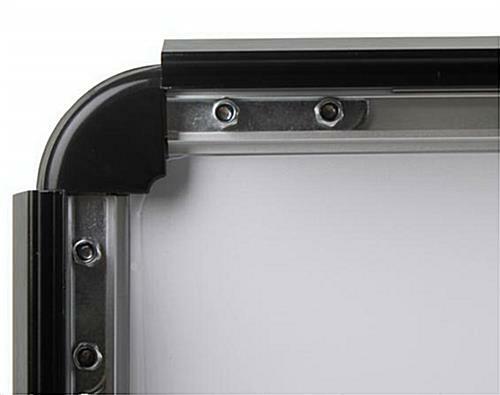 This water base keeps the display stand grounded during high winds and minimizes theft. This free standing sign that has finished black aluminum snap frames makes changing signage quick and easy. This double-sided display also makes set up simple. Just snap open the four edges of this free standing sign, insert the poster or advertisement, and close the side panels. It's that easy. 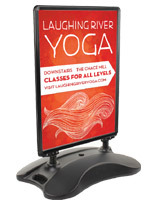 This water base poster frame, free standing sign includes (2) portable built-in wheels. 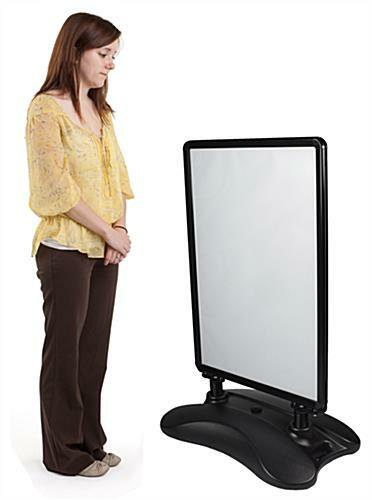 These (2) casters make moving this poster holder around a business quick and easy. This free standing sign is the ideal display for showcasing signage outside of restaurants, retail stores, offices, and more. 27.8" x 43.5" x 17.5"
31.0" x 4.8" x 20.0"